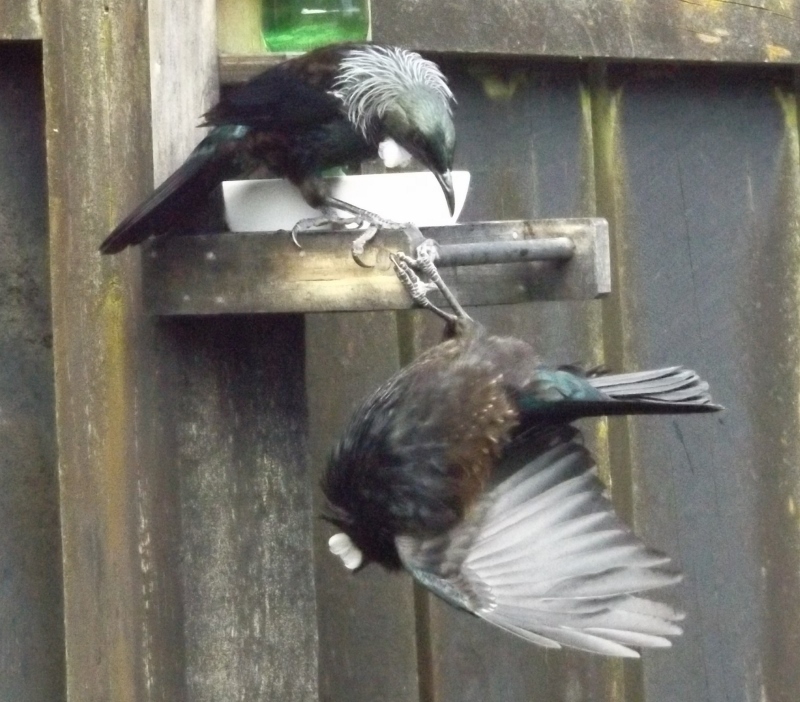 After calling incessantly for food from its parents, this young Tui fledgling eventually came down on to the feeder. 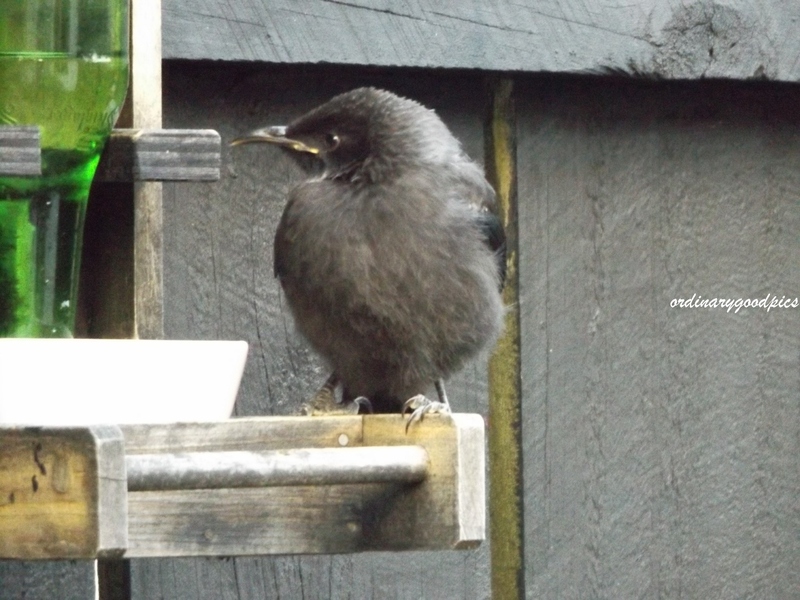 Its pose is very much that of a fluffy, fledgling not long out of the nest. 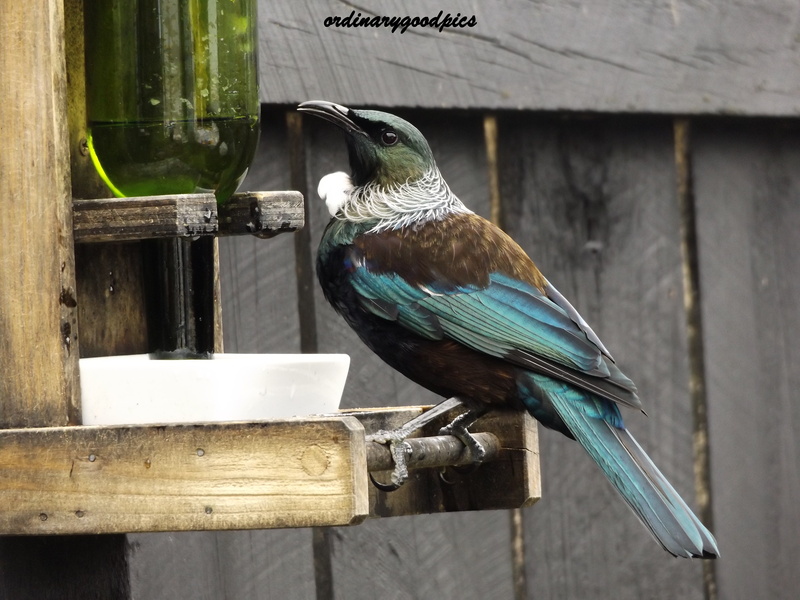 But a gnawing hunger and observation of other Tui drinking at the feeder meant an exploration of how this food source worked. 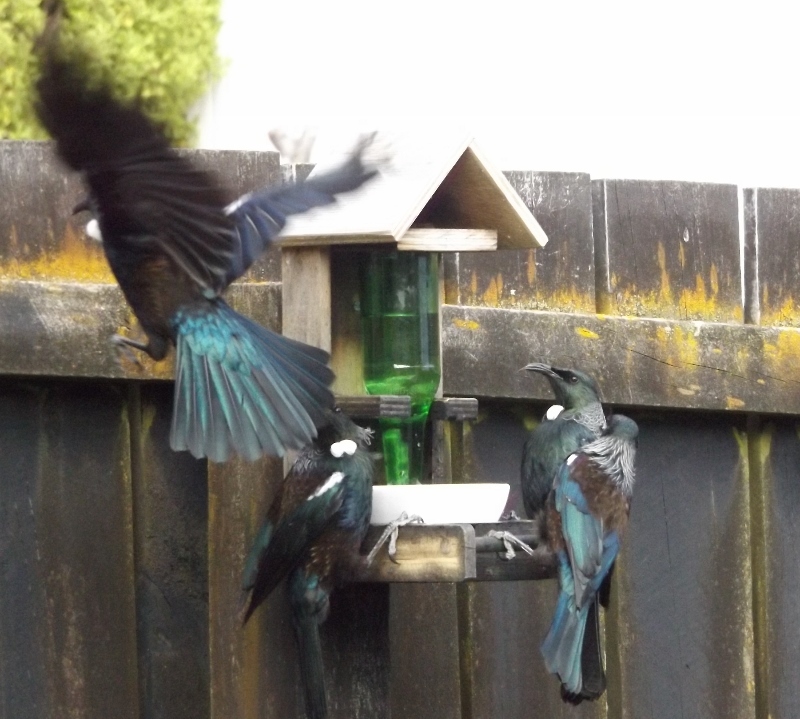 First attempt was not so successful. 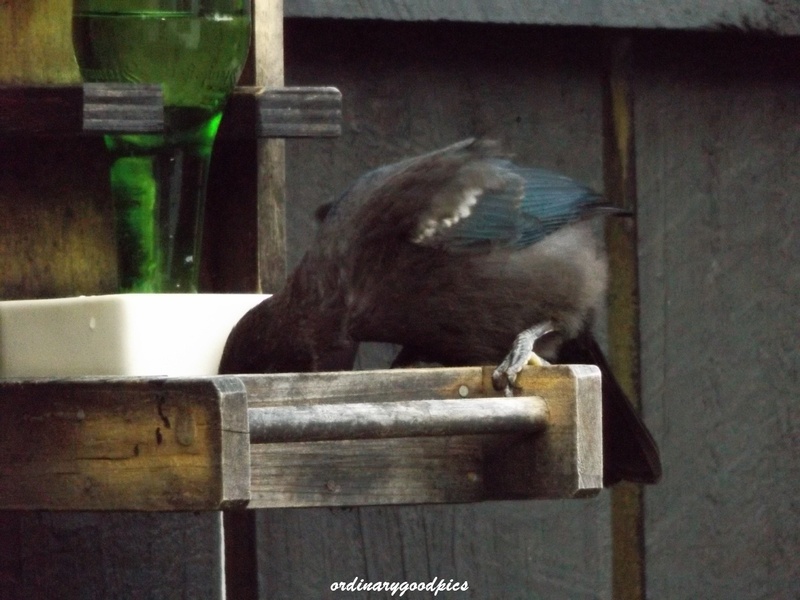 Then success!! 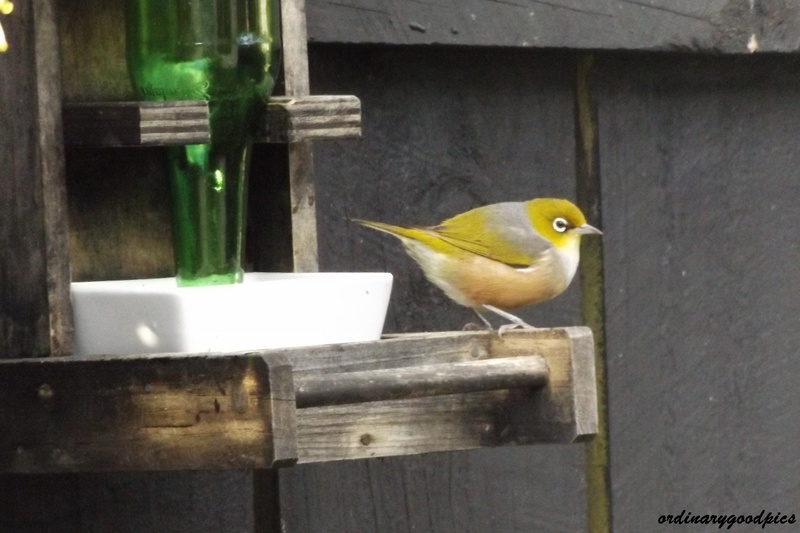 But no photo sadly. 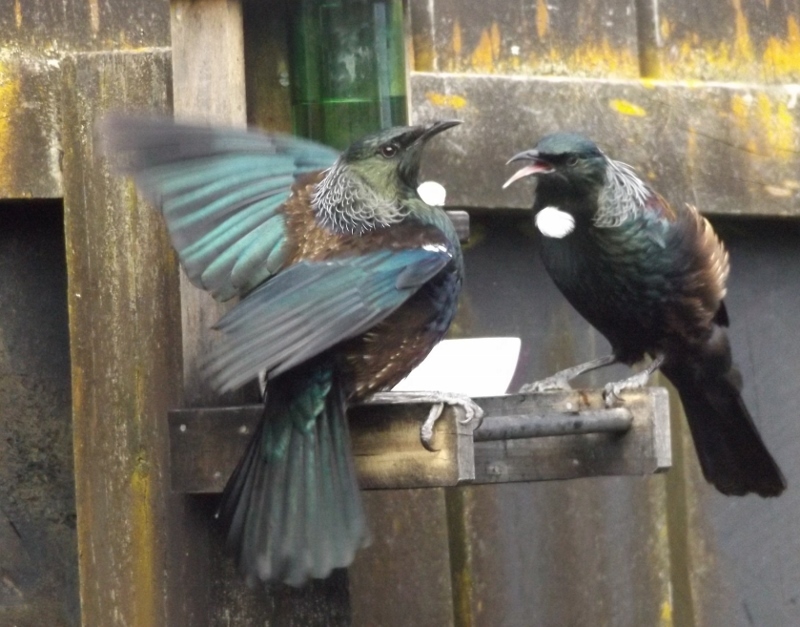 Noises from other Tui had the fledgling showing more of its true size and condition. 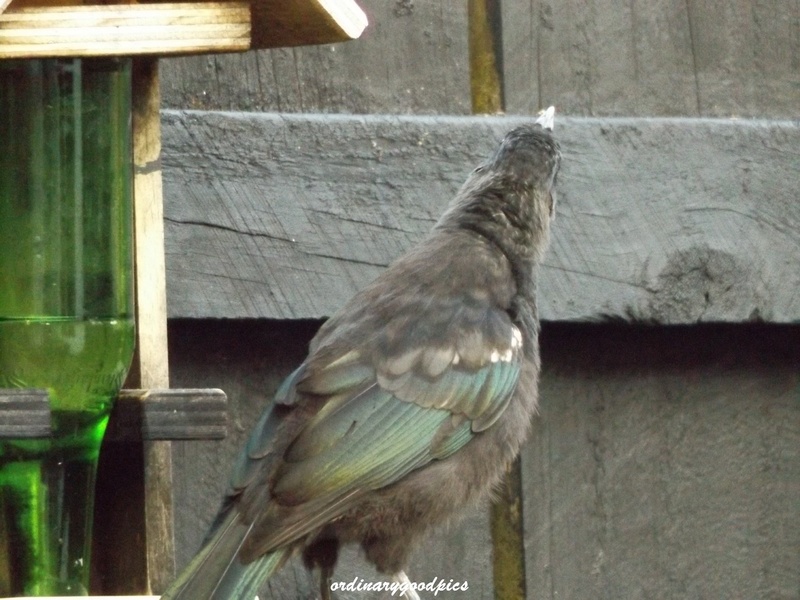 And finally happy with some food in its tummy it posed for me. 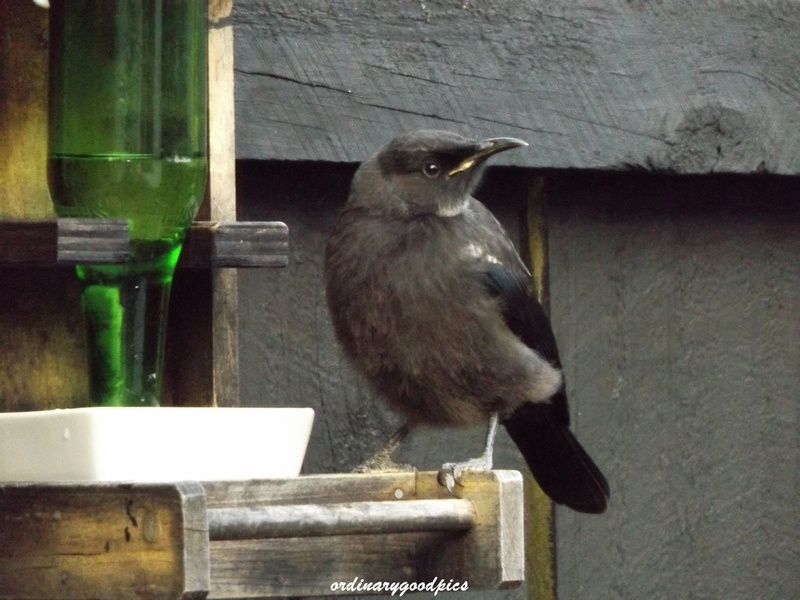 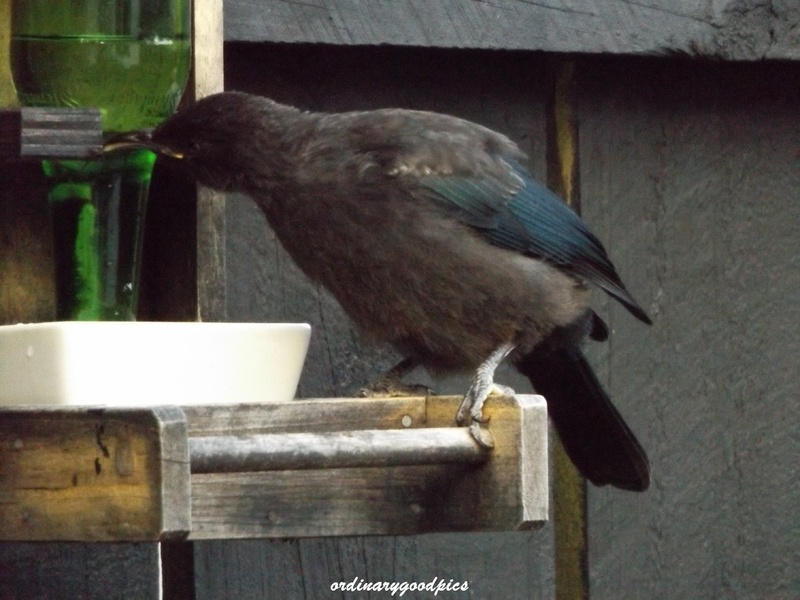 This entry was posted in Uncategorized and tagged birds, food, food source, nature, nectar feeders, NZ birds, photography, sugar water feeder, Tui, Tui fledgling, Tui fledglings on February 26, 2015 by ordinarygood. 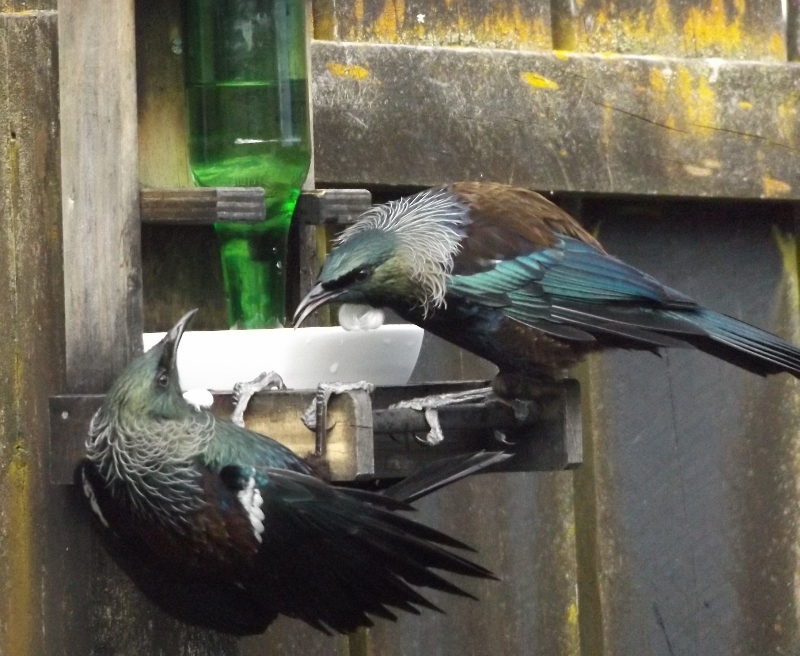 Demand for sugar water has peaked in the last 10 days. 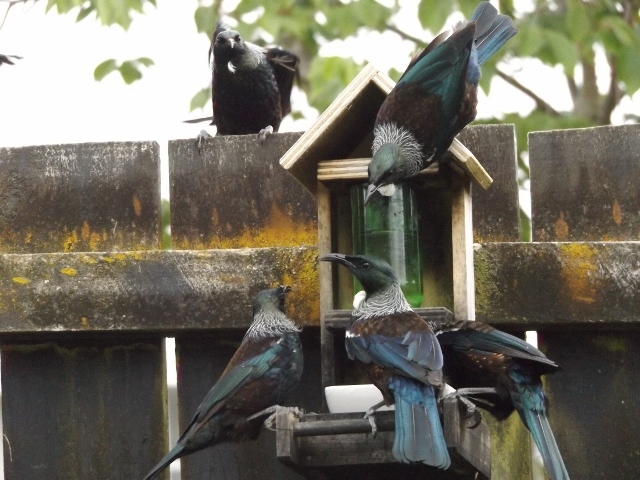 We are seeing groups of up to 10 Tui arriving at the feeder during the day. 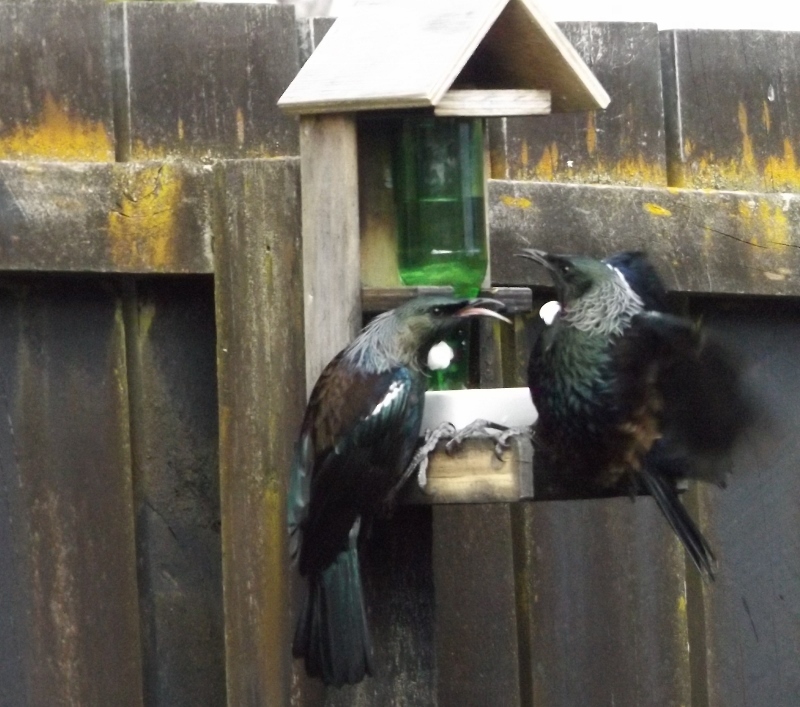 Aggression is high but sharing also happens at times too. 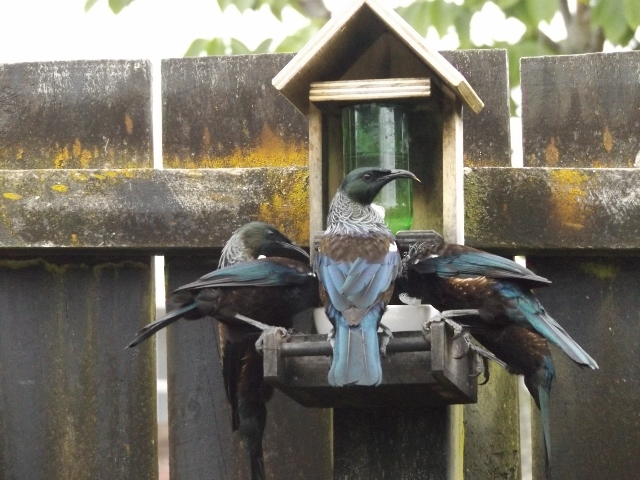 I have ordered a larger feeder to help keep up with demand. 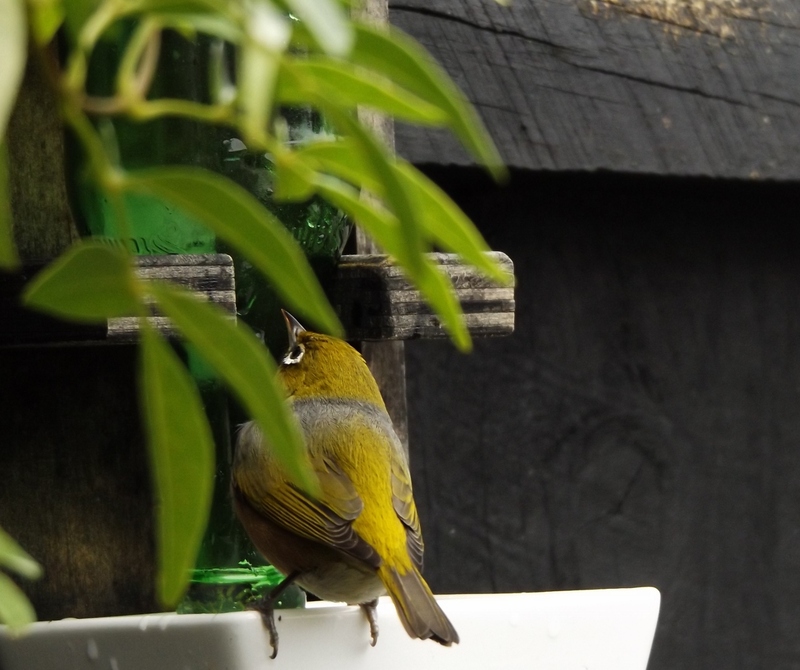 I took these photos tonight around dinner time. 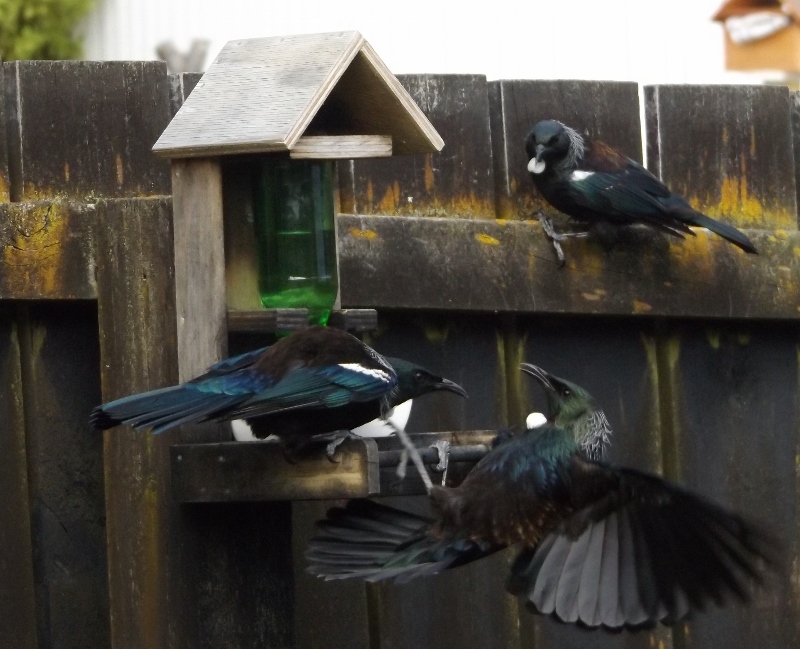 This entry was posted in Uncategorized and tagged aggressive birds, birds, feathers, nectar feeders, New Zealand birds, photography, spring, sugar water, sugar water feeder, Tui on November 4, 2014 by ordinarygood. 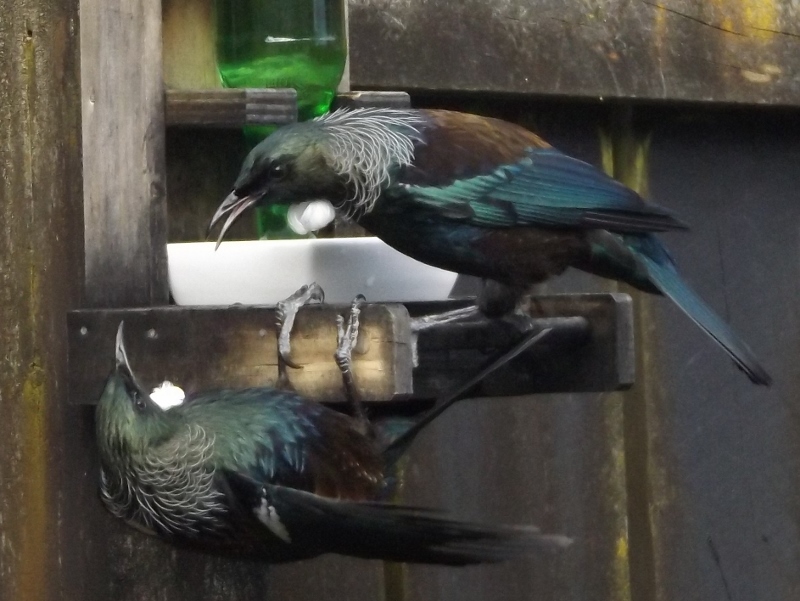 For those of you reading from beyond New Zealand, the Maori word “Hui” means a gathering. 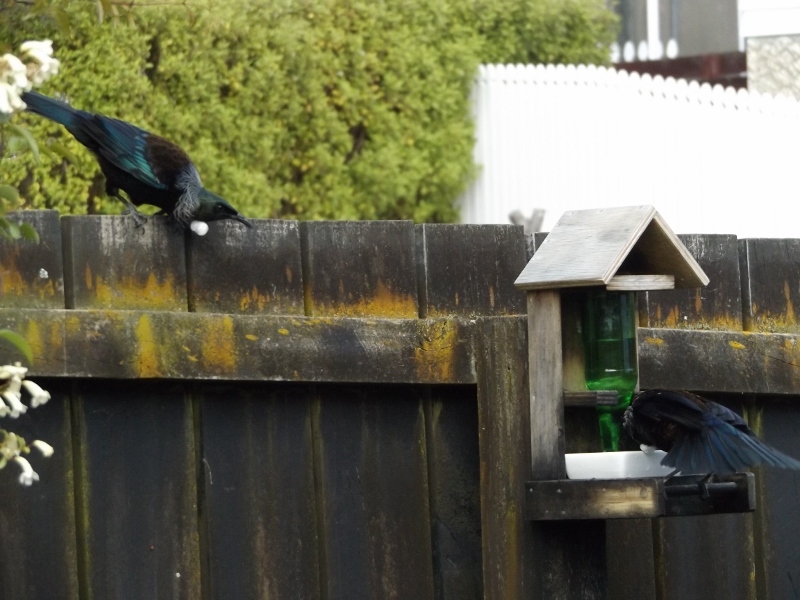 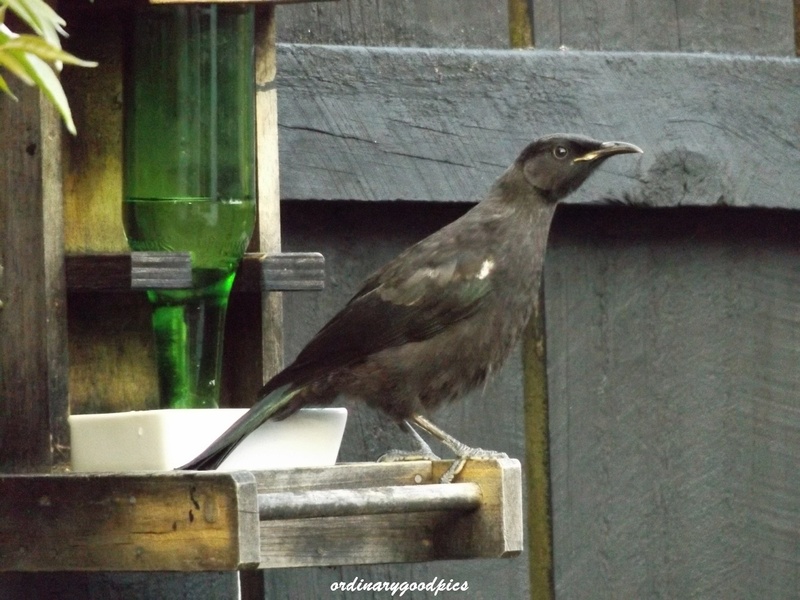 Yesterday the local Tuis flocked to the sugar water feeder. 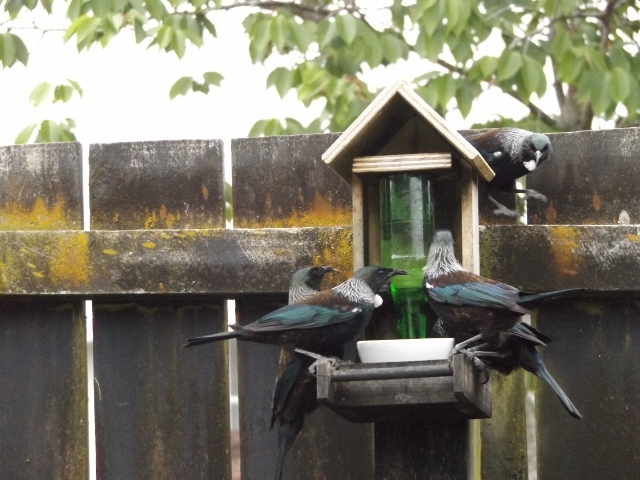 It was something of a competition to see how many could perch on the feeder and gain access to the sugar water. 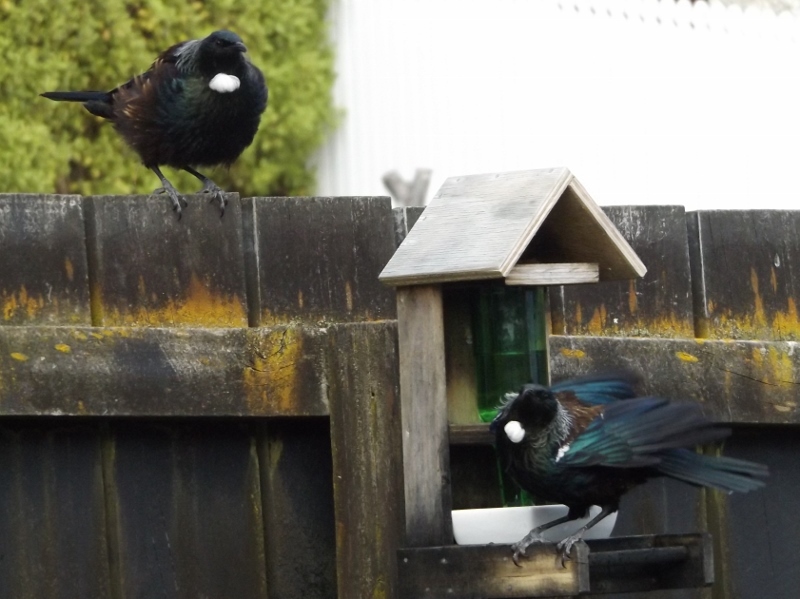 I think this photo shows the maximum number who had artfully arranged themselves on the structure. 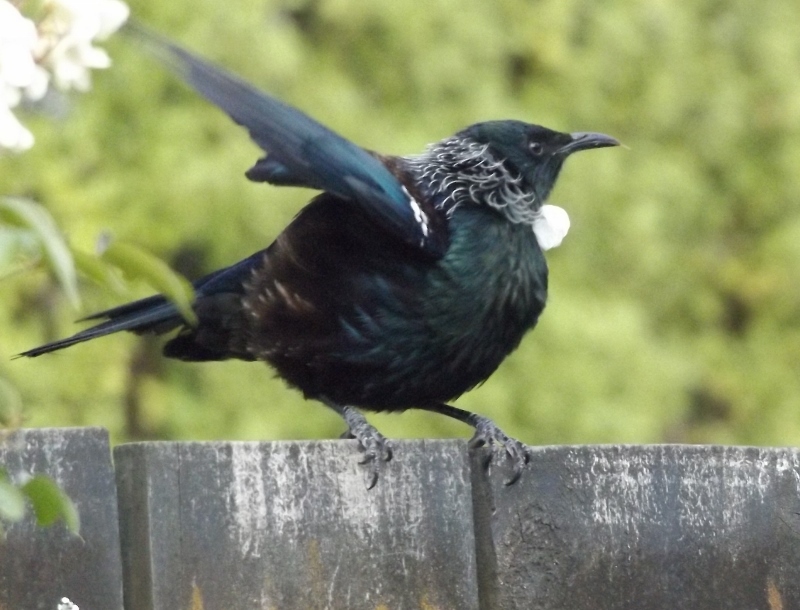 Others were on the fence or in the nearby Magnolia tree awaiting a space to open up! 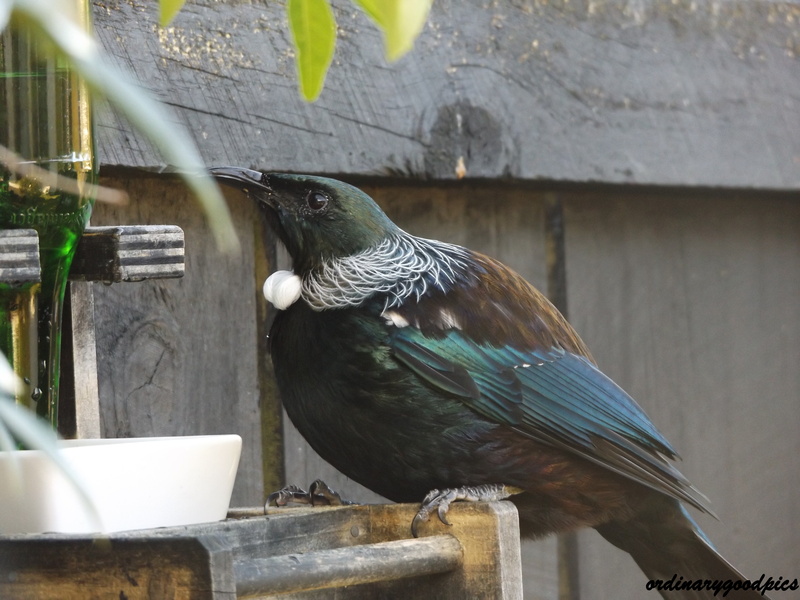 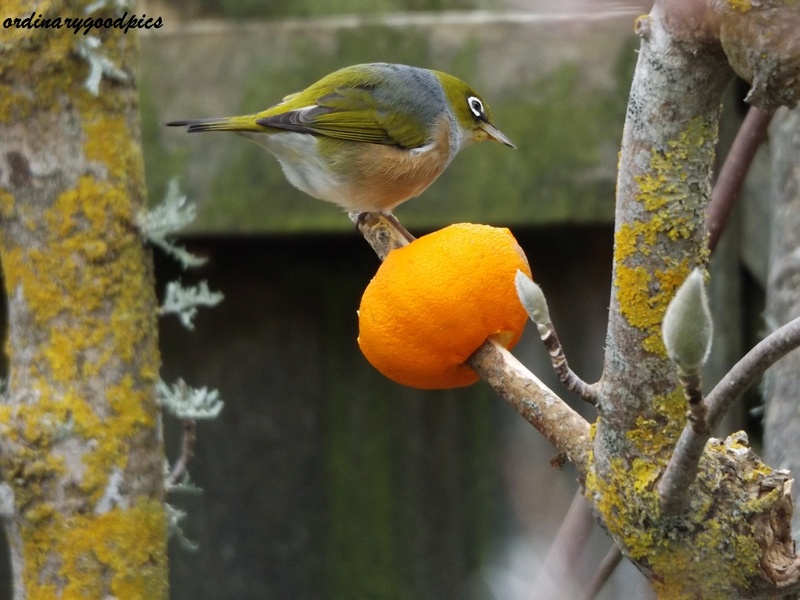 This entry was posted in Uncategorized and tagged birds, Hui, nectar feeders, New Zealand, New Zealand birds, photography, spring, sugar water, sugar water feeder, Tui, Tuis on October 30, 2014 by ordinarygood.